In life, we go through different chapters, with the ups and downs that’ll shape us to become stronger individuals. Along the way, we’ll encounter certain people who’ll make the lows much more bearable and the highs a lot more enjoyable. But sometimes, we feel as if saying “thank you” is not enough to make up for something they did. While gift-giving will always be an option for us, maybe it’s time we realize that there are other ways to extend our heartfelt thanks to others without breaking the bank. How so? Through a simple thank-you card, of course. These days, getting a thank-you card in the mail isn’t exactly something you would expect from anyone. 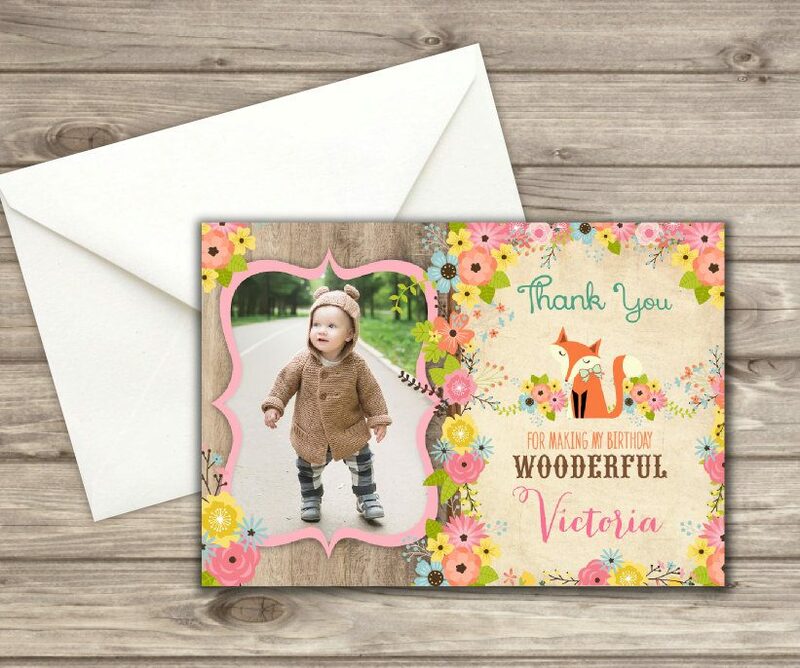 But that’s what makes it extra special, as anything from a thank-you card to the modern photo thank-you card can certainly brighten a person’s day. Do Thank-You Cards Still Matter? Back in the day, chat rooms, online messengers, and video calls were merely a figment of one’s imagination. Looking back, it may have been tough to make last minute plans with friends, especially when there was no way to communicate with one another without meeting in person. Imagine everyone being early and present for a small get-together. Nowadays, people could just send a text if they decide not to go. But it was different then, because everyone considered letter writing normal and convenient. In fact, society found a creative way to connect with their loved ones through vintage postcards and thank-you cards. Fast forward to when digital communication has dominated our everyday lives, allowing us to interact with friends, family, or even complete strangers through instant messaging, does something as simple as a thank-you card still matter? While writing a thank-you card may not be as common as it was many years ago, it still holds the same meaning and purpose nonetheless. But the thing is, people no longer expect to receive thank-you cards anymore, let alone send one. Yet, we still yearn for that old-fashioned type of interaction, where computers and smartphones are out of the equation. 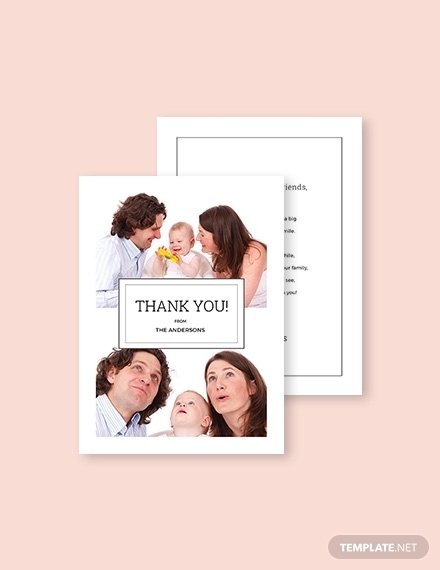 A thank-you card, whether it’s a wedding thank-you card or a baby shower thank-you card, may take some time and effort to make, but that’s exactly what makes it even more personal and meaningful. It doesn’t matter if you opt for a digital thank-you card rather than a physical one, as what matters the most is the thought behind the card. This allows you to be creative with how you express your utmost gratitude to the given recipient, without having to spend too much on an actual gift. As for efficiency and convenience, surely modern-day technology takes the home run. 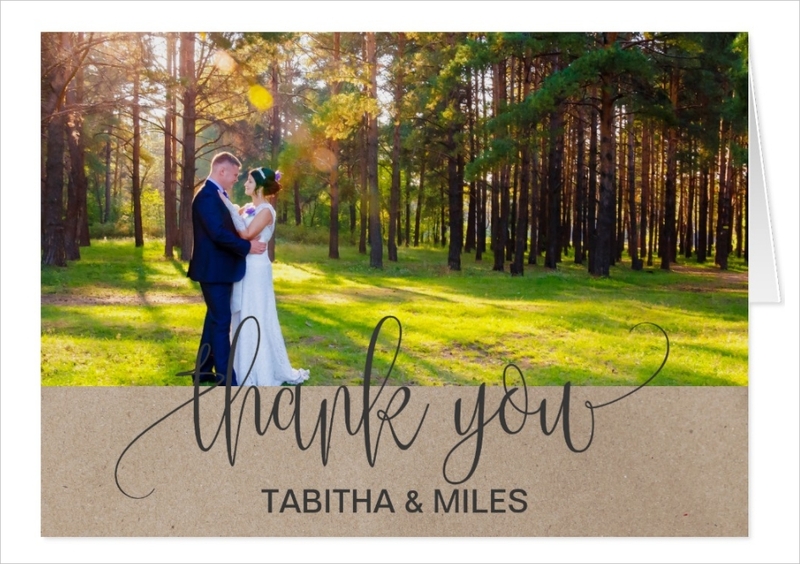 But for individuals who prefer to go the extra mile, a classic thank-you card can do the job perfectly. It doesn’t have to be the most expensive card in the rack, nor does it need to bear the most extravagant design there is. It’s a simple gesture that can make anyone feel appreciated beyond just saying “thank you”. 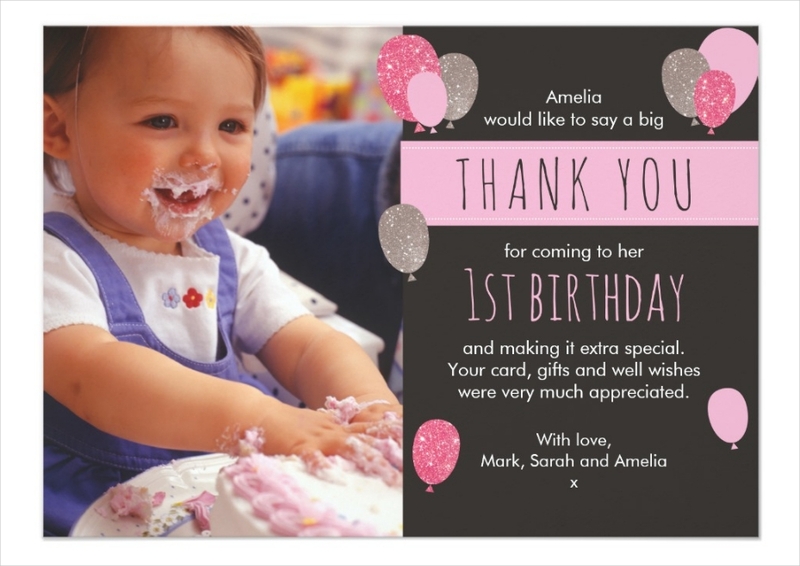 Thank-you cards come in all shapes and sizes, and are ideal for different occasions. In general, creating a thank-you card from scratch may be a challenge for those who aren’t quite artistic in nature. There’s always the dilemma of whether to fill up the whole card with graphics or to keep it to a bare minimum. 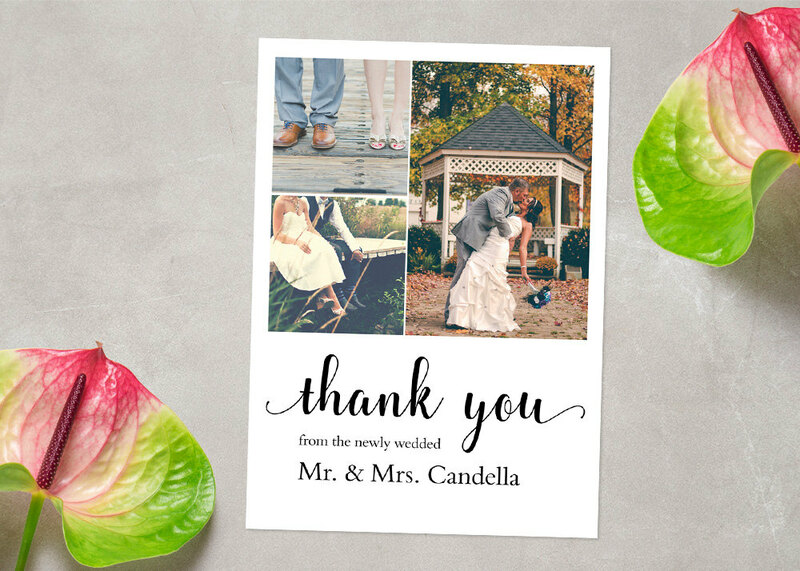 So if you’re having trouble deciding on the final look of your card, maybe you’d want to consider making a photo thank-you card instead? The best part about using images for your design is that you no longer have to worry about filling your layout with graphics. For one thing, a photograph is enough to draw in attention. It’s probably the first thing readers set their eyes upon, and the most significant element they’ll remember about your card. It’s an easy copy and paste scenario, where all you have to worry about is whether you’d want the image to fill one side of the card or just a part of it. 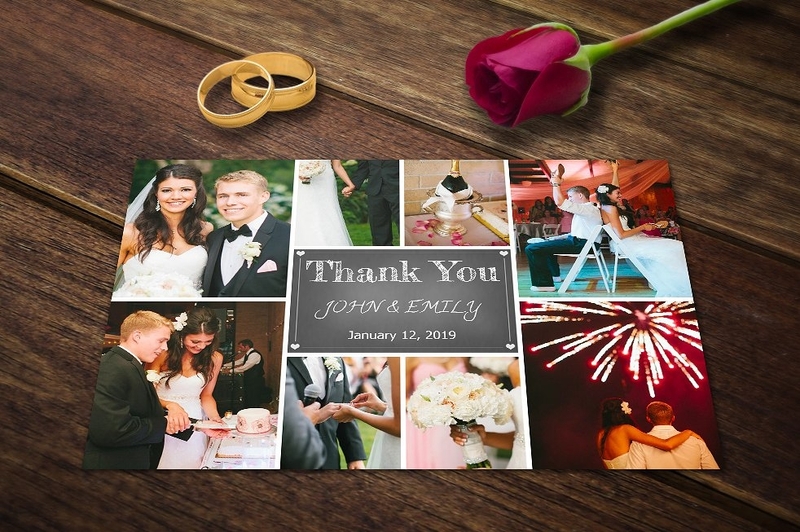 Photo thank-you cards aren’t as common as the traditional type of cards, as this is not exactly the type of card you could buy from a nearby store and have it sent by the postal office all in a couple of minutes. The average type of thank-you card can be quite predictable, typically bearing the standard words of thanks on its front cover. 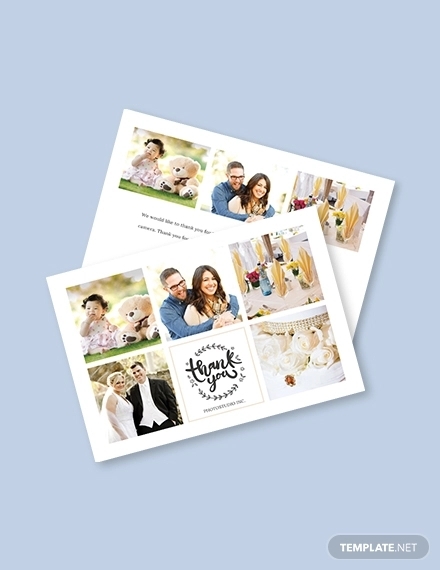 But with a photo thank-you card, the image itself serves as the perfect element of surprise. Let’s be honest, getting a thank-you card with a photograph of a child wearing a lion suit is surely a pleasant surprise, right? 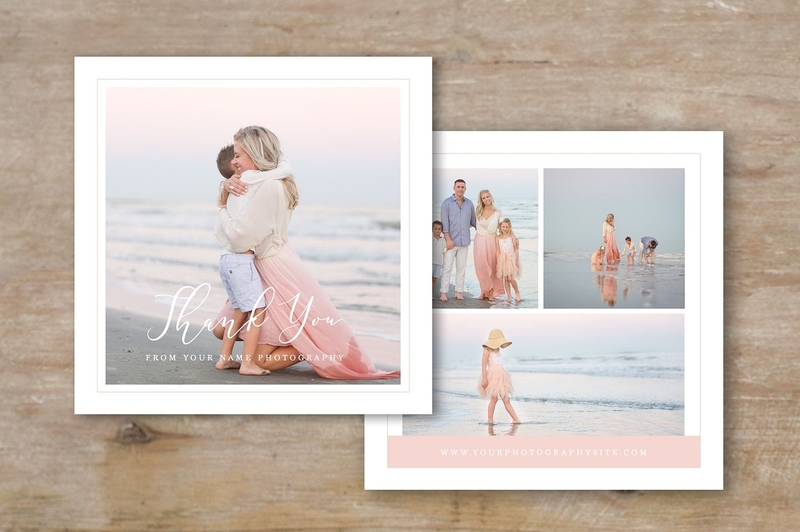 Apart from the card’s physical appeal, the emotional connection you create through the use of a photograph is something that’s worth more than a thousand words. It can be a sweet image of a couple during their special day or a cute photo of a child who has grown significantly over the course of a year. This makes a person feel as if they are a part of the journey, especially during an individual’s most treasured moments. 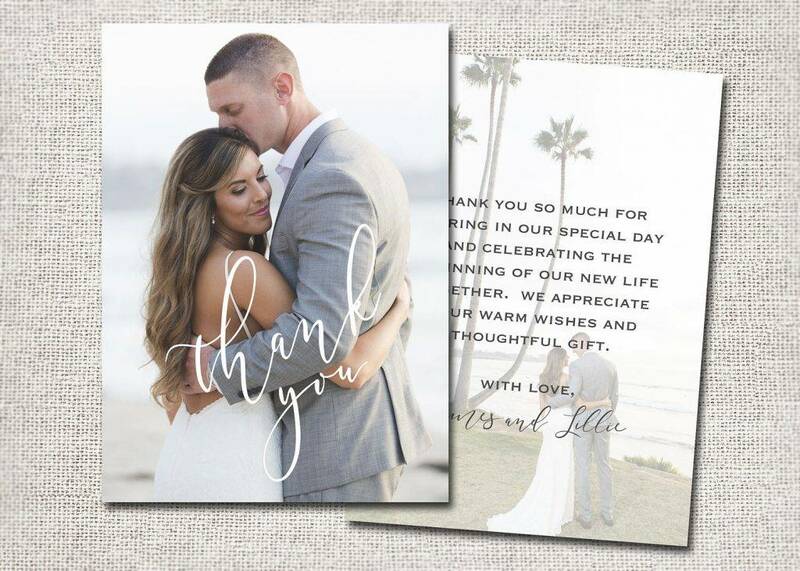 It’s safe to say that a photo thank-you card can put even the most expensive card in the market to shame. Think about it. A photo captures a moment, and in this moment, you could feel the emotions radiating from the subject. As the recipient, the image serves as a reminder of what a simple act could mean to somebody else. While it might not be the most groundbreaking response for somebody who just saved your daughter’s life as a baby, it’s still something anyone can appreciate. Remember, the point of writing a thank-you card is to make one feel appreciated for what they’ve done, regardless of its scale of impact. Schedule a photo shoot. 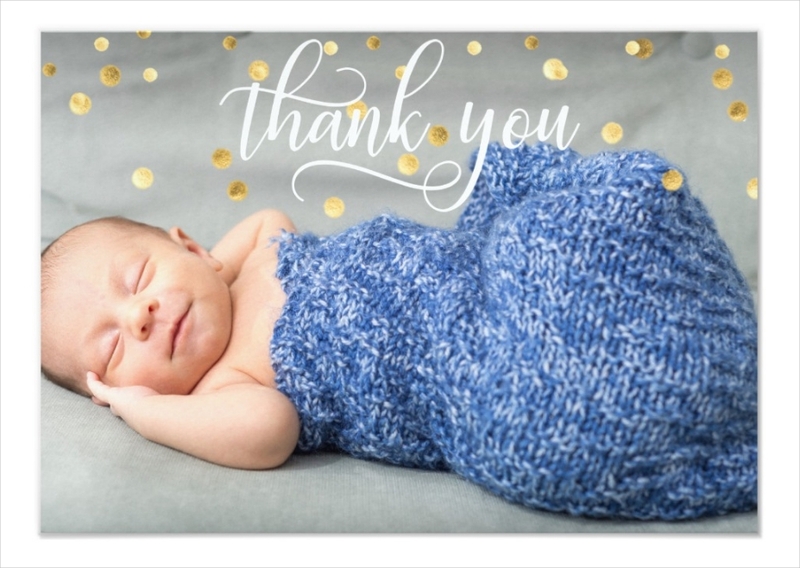 What’s a photo thank-you card without the actual photo? If it’s meant for an important moment of your life, like a graduation thank-you card perhaps, then you might want to take candid pictures from your special day in order to capture genuine emotion. For birthdays and other occasions, having a photo shoot with a professional or an amateur photograph will be a good idea. It can be a lot of fun to do and you could use the pictures for other parts of the celebration as well. Have a theme. 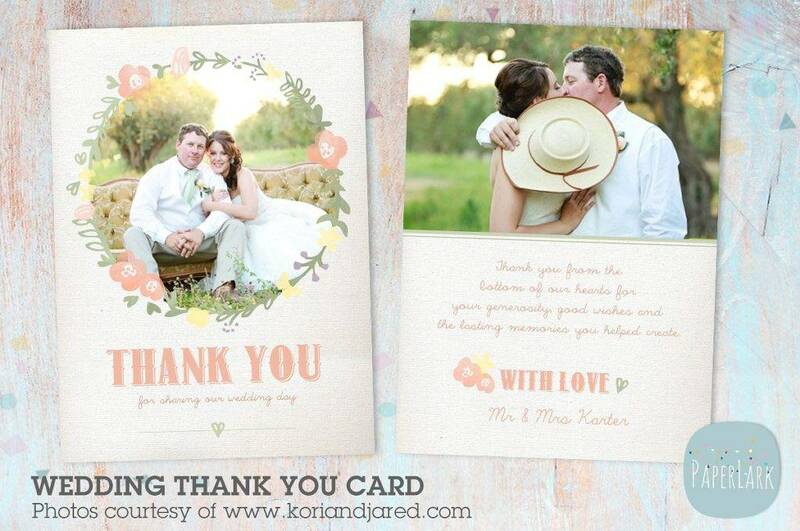 Before you decide on the theme of your thank-you card, be sure that it relates to the card’s purpose. 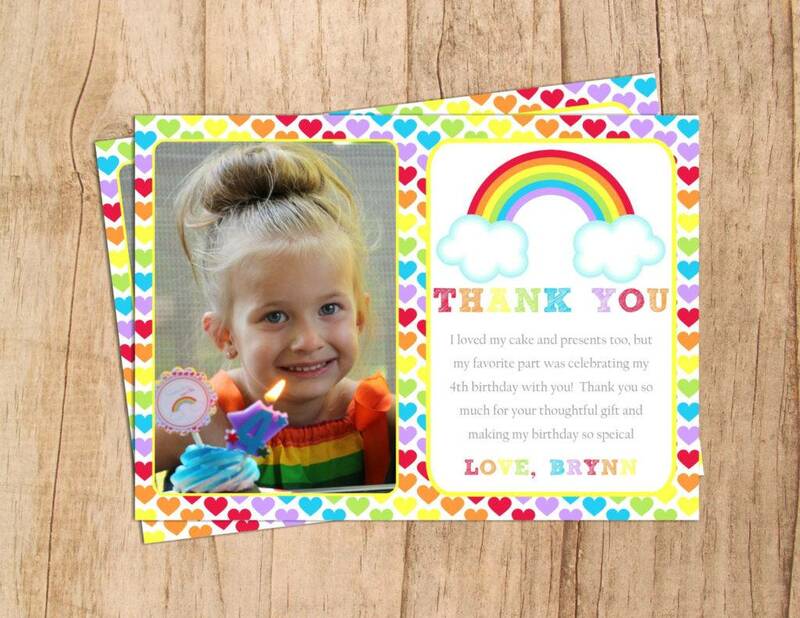 You could search for kids-related themes to make a kids thank-you-card. 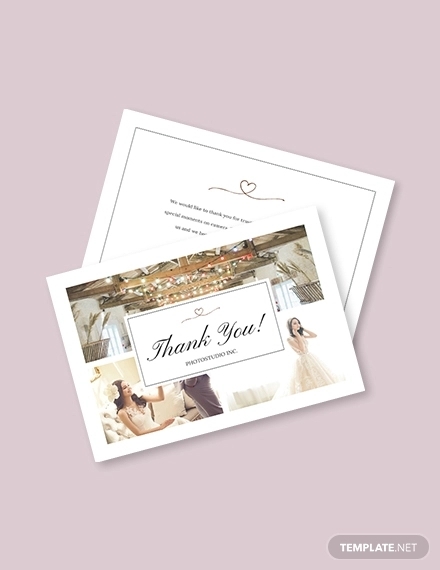 Having a theme set will help you conceptualize on the overall look and feel of your card, specifically how you want your recipients to react to it. 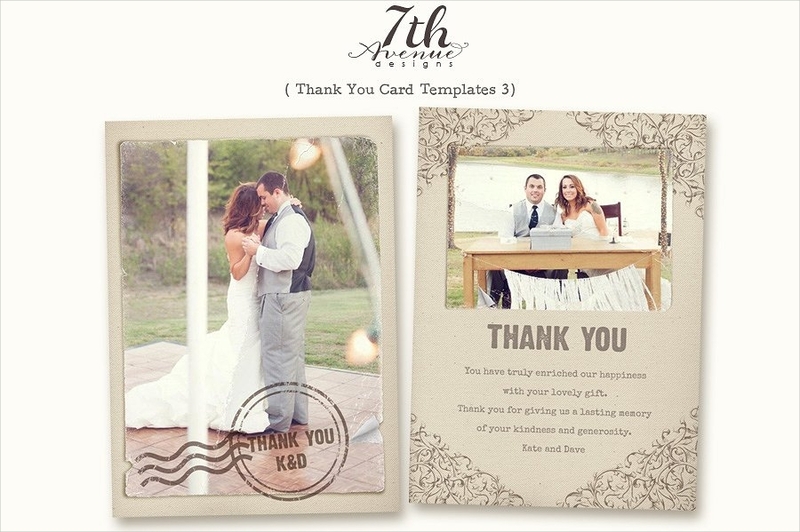 This will also help you choose the appropriate design elements to add to your thank-you card. Forget about formality. You may have heard about how thank-you notes are designed to be formal in nature. Fortunately, it doesn’t have to be the same way for a thank-you card. Let’s put it this way, writing a thank-you card helps you develop a personal connection with a given individual. So it wouldn’t be ideal to speak in a business-like manner to friends and family, right? You’d want to make a person feel special, not make them a subject for some sort of corporate agreement. Set the mood with colors. As much as we adore the idea of being minimalist robots who are attracted to anything that appears aesthetically pleasing to the eyes, the inner child in us can’t help but feel giddy over a series of bright lights and vivid colors. While it’s not a complete necessity to stick to the colors of the rainbow for your design, it would be best to consider playing around with colors every once a while. Not only can this attract attention, but colors can also spark different kinds of emotions. Be witty. Maybe it’s time to take a step back from making the generic type of thank-you messages by adding some humor to it. And who says your photos need to be serious and scripted? 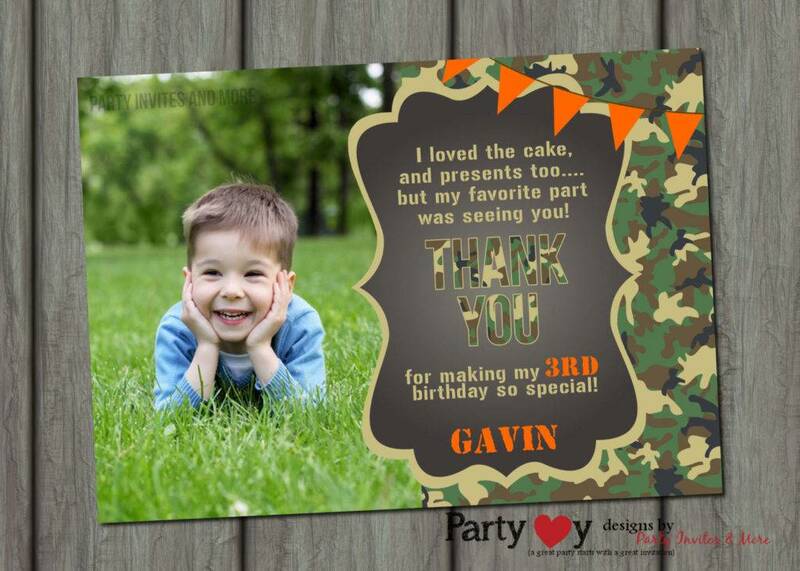 Have fun with your photo thank-you cards by adding a little twist to it that sheds light on who you are as a person. Writing a thank-you card might not be the first thing to come to mind when you want to show your appreciation to someone, but it is something you should greatly consider. At the end of the day, it’s all about expressing yourself through a heartfelt message with the help of a good ol’ thank-you card.